In the early 1930’s, in Bahrain and the Arabian Gulf region pearl hunting and trading represented the backbone of the economy as the main source of income. However, with the arrival of the Japanese pearls, the local pearl industry collapsed and economic crisis gripped on the Island and the region. Our founder, Mr. Mohamed Hassan Al Mahroos, upon graduation, returned from India, with the ambition, passion and a clear vision to stand out in spite of all odds. 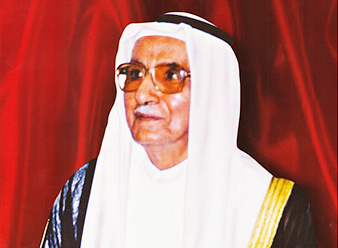 He established Mohamed Hassan Al Mahroos Company in 1930. In 1932, oil was discovered in Bahrain and that brought prosperity to Al Mahroos Company and many other local companies. Bahrain’s economy flourished. In the late 1950’s and 1960’s our founder contributed to establishing the National Bank of Bahrain and Bahrain Insurance Company, respectively. Following this many more companies were established that have now become pillars of our national economy. After 85 years of establishing the company, M.H. Al Mahroos has become a leading company in the Gulf and Middle East as a reliable source for world class technology -oriented products & services supported by excellent after-sale services. We currently employ about 400 technicians, engineers and support staff to boost our sales and after sale services. Our facilities include offices, showrooms, workshops, training and parts center located in Bahrain, KSA and UAE. M.H. Al Mahroos Company envisions expanding in the Gulf and Middle East markets offering comprehensive solutions to its customers through high-quality, well-branded offerings and the best after-sales services There is a Chinese proverb that says ‘Consider the past and you shall know the future.’ Even as the group strives to surge ahead, it is important that we consider our heritage. Given the company’s rich history and legacy M H Al Mahroos Group aspires to continue the legacy of our founder to becoming a key player in Bahrain and the region for years ahead – thus the birth of “Al Mahroos Difference”.